Luxury real estate marketing professionals should always pay close attention to details in their marketing materials, their website and their client services. With personal branding for real estate agents, it is the little things that can distinguish you from your competitors. The more sophisticated your target market the more they will appreciate the details. But, almost everyone appreciates even minor acts of kindness and thoughtfulness. Small things make a big difference. To tune into the importance of details as a strategic differentiator study the major luxury brands. We are firm believers in out-thinking not out-spending your competition to achieve more market share. Here is a very simple example of how a very minor design element can completely influence a major buying decision and even cause someone to switch brands all together. 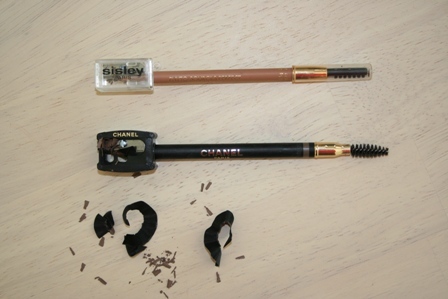 The Sisley eyebrow pencil sharpener has a cover and the Chanel does not. 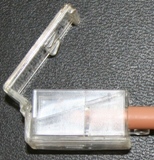 The cover prevents the shavings from the pencil to scatter and cause a mess especially if you are in a hurry. Clean up is faster and easier with Sisley, a feature that has nothing to do with make-up but everything to do with convenience and a quality user experience. How can you pay more attention to detail in your day-to-day practice of real estate and win more business?